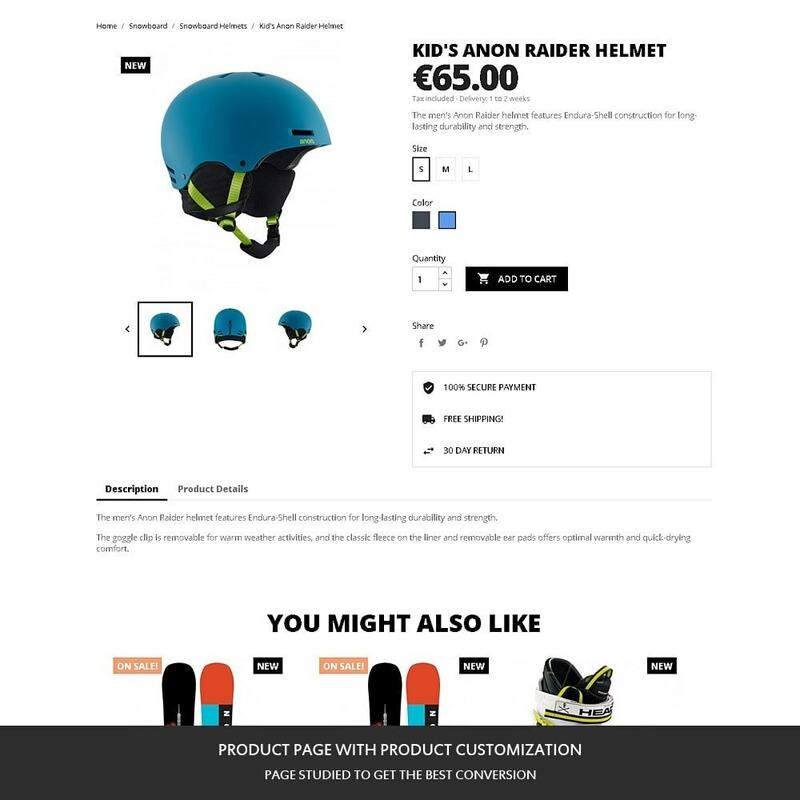 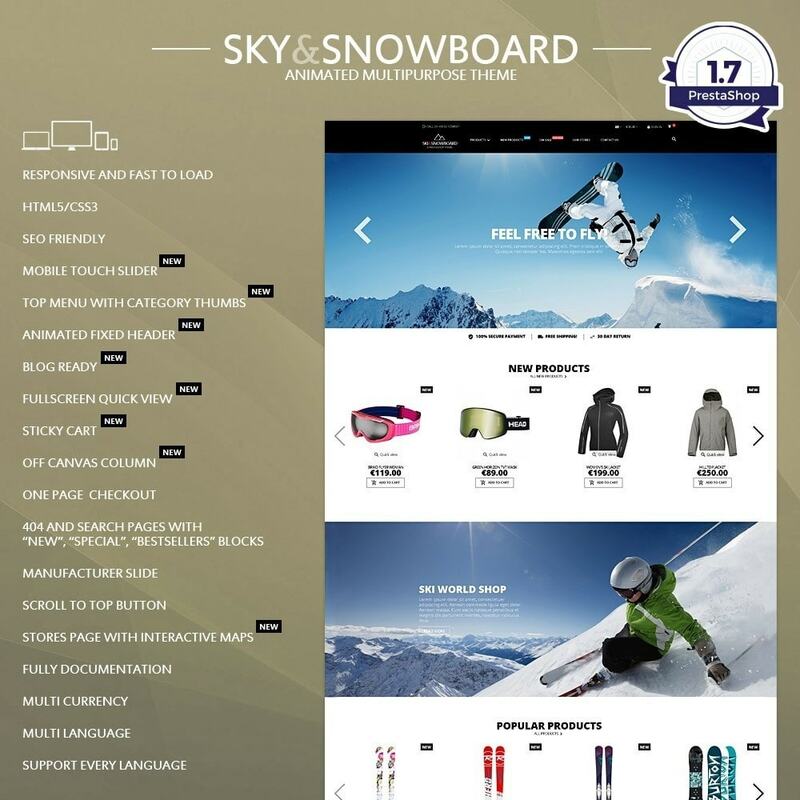 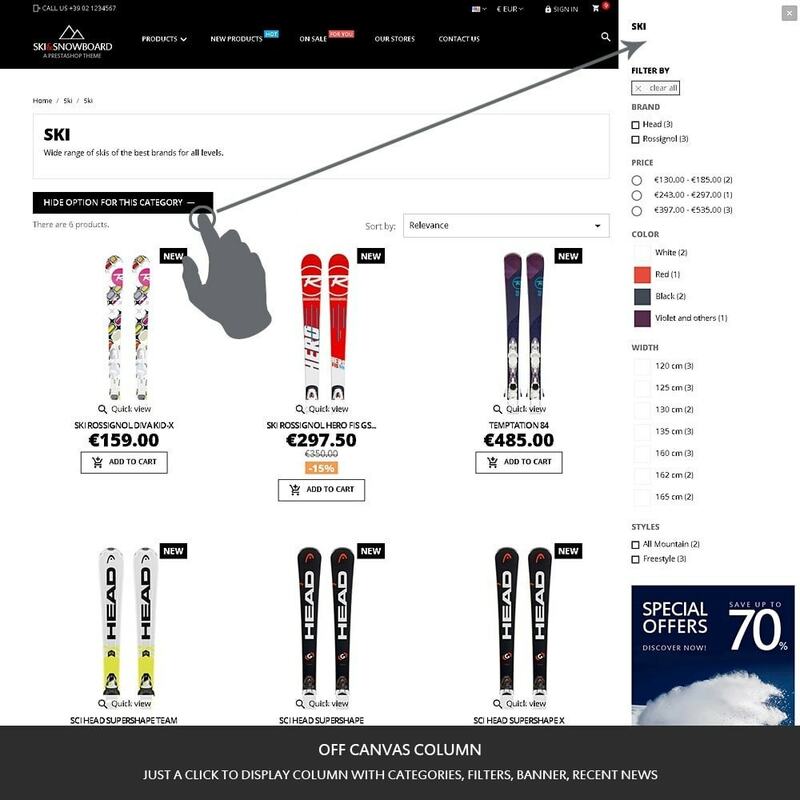 Animated, responsive, multilingual, multishop theme, ideal for every kind of shop about sport like ski, snowboard, sports clothing, accessories. 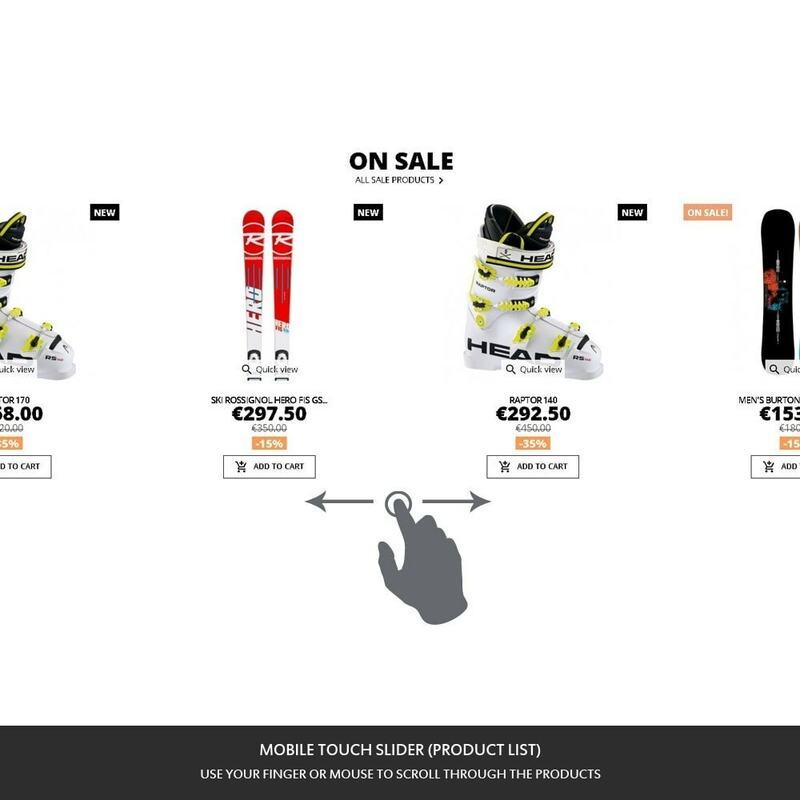 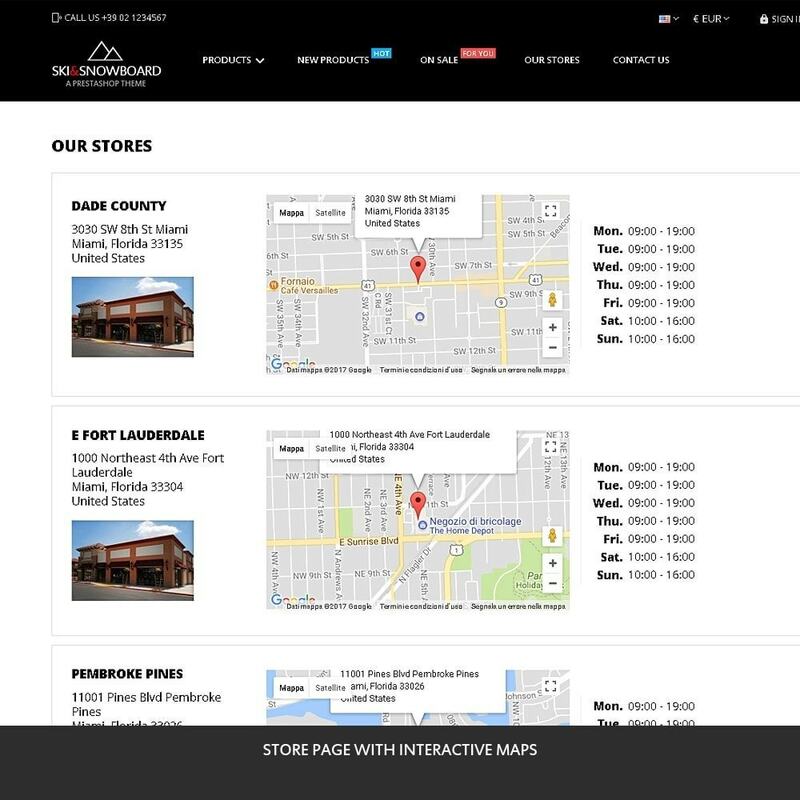 Ready within minutes: stop wasting time with hundreds of complicated options. 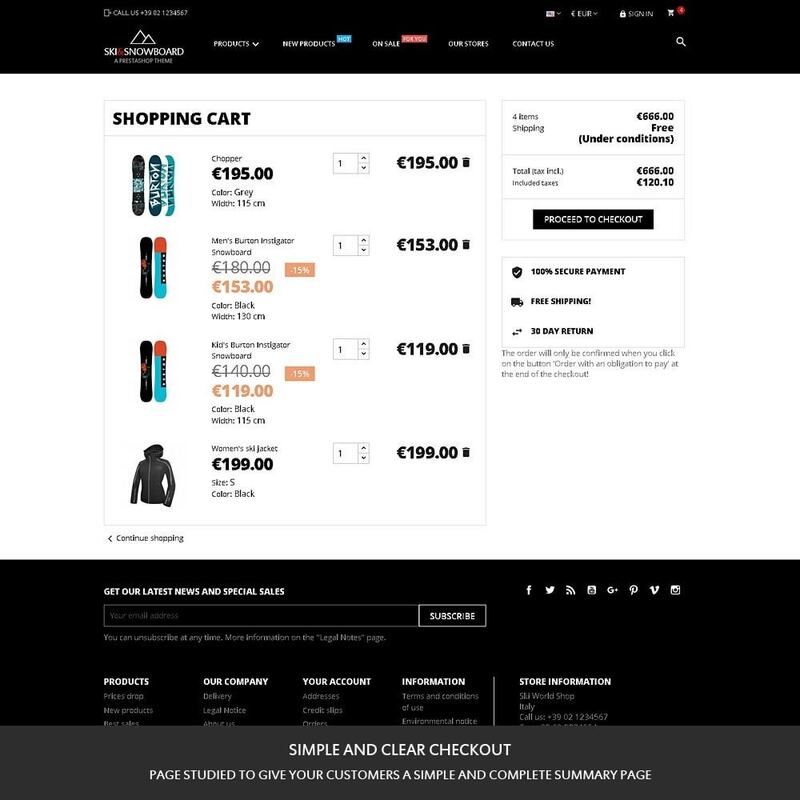 Great for sport clothing and equipments, ideal for any kind of shops.